Facebook, as we know it, has taken over the cyberworld as the leading social media networking site with over 500 million active users till this day. From grandparents to toddlers, and even on occasion, a person’s pet (I kid you not), Facebook users come from all walks of life. And it’s fair to say that if you’ve got internet – you’ve got Facebook. So amongst the 900 million activities you can possibly do on Facebook, one stands out like a green thumb, Farmville (pun intended)! As of early March this year, out of the 500 million users on Facebook, 80 million of them are engaged, or more aptly, addicted to Farmville. That’s a staggering 16% from the world of Facebook. So what is thisFarmville and why are people so engrossed with it? 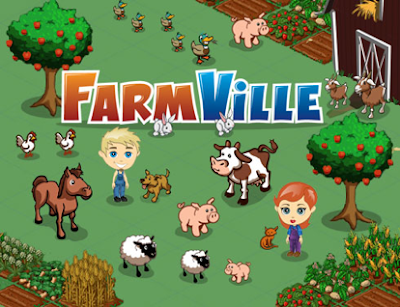 Farmville, as its name indicates, is a digital-based village where users develop and grow their farms to compete amongst their Facebook buddies to have the best and biggest farm. And the creators of Farmville, Zynga, has made an earning of USD100 million in just 2009 alone. People willingly spend real dollars in exchange for virtual dollars to help further accelerate their farms – to fertilize their farm’s growth sort to speak. So what is Zynga’s secret? Though most Facebook users just screen through superficial and pointless rants from their friends, Zynga has analyzed and discovered the underlying patterns that contribute to the success of Farmville’s phenomenon. Perhaps it’s the competitive edge everyone has within themselves, or maybe, it offers an escape from reality to make the 9 to 5 work experience a little more bearable. Below is a video that explains how companies like Zynga made millions from uncovering consumer insights. And if you have 28 minutes to spare, it’s worth every minute listening to Jesse Schell a professor of Carnegie Mellon. Who knows, you could just be the next creator of a Farmville!